Clifford Garstang is the author of the prize-winning short story collection In an Uncharted Country and What the Zhang Boys Know, winner of the Library of Virginia Award for Fiction. His is also founding editor of Everywhere Stories: SHort Fiction from a Small Planet, an anthology series from Press 53. His work has appeared in numerous literary magazines including Bellevue Literary Journal, Blackbird, Cream City Review, Shenandoah, Tampa Review, and Virginia Quarterly Review, and has received Distinguished Mention in the Best American Series. He has received fellowships from the Virginia Center for the Creative Arts, Kimmel Harding Nelson Center for the Arts, and the Sewanee Writers' Conference. He holds an MFA in Fiction from Queens University of Charlotte and is the co-founder of Prime Number Magazine. He is also the author of the popular literary blog Perpetual Folly. 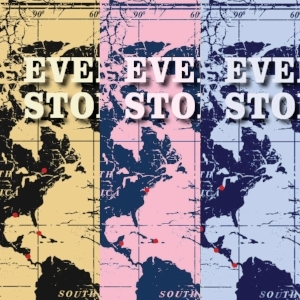 Also check out Clifford's Press 53 anthology series, Everywhere Stories: Short Fiction from a Small Planet. Winner of the Maria Thomas Fiction Award.